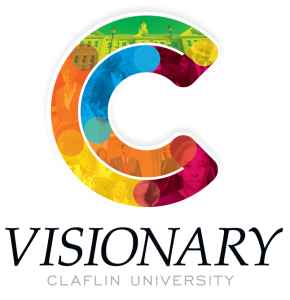 Nashville, Tenn.: In conjunction with Back History Month, a new video features the accomplishments of Claflin University, one of the oldest Historically Black Colleges and Universities in the U.S. The video, which highlights the 20-year tenure of the university’s president, Dr. Henry N. Tisdale and Alice Carson Tisdale, the first lady, also gives evidence to the continued relevancy of HBCUs in the ever-changing higher education landscape. “We are humbled and thankful for the decision by United Methodist Communications and the Black College Fund at the General Board of Higher Education and Ministry to produce a video focusing on Claflin University’s accomplishments,” Tisdale said. “We are excited that others will have an opportunity to see what can happen when a community of dedicated and devoted people work together as a team to realize a vision. Under Tisdale’s leadership, Claflin has emerged as a leader among the nation’s liberal arts institutions. US News and World Report, in its 2014 listing, ranked Claflin in its Top 10 of best HBCUs, and, also, No. 1 in alumni giving with more than 52 percent making contributions. In May 2014, Claflin awarded bachelor’s and master’s degrees to the largest class in the institution’s history. Claflin, located in Orangeburg, S.C., is one of 11 Black colleges and universities supported by the Black College Fund of The United Methodist Church, which supports the largest number of Black colleges and universities of any church body in the United States. The 11 Black colleges are located in the Southeastern and South Central Jurisdictions and are diverse in every way. There are approximately 16,000 students enrolled, and 90 percent of them qualify for financial aid. The colleges are and have always been open to all. The Black College Fund (BCF), a ministry of The United Methodist Church, is the largest supporter of Black colleges and universities of any church body in the United States. The 11 BCF-supported colleges enroll approximately 16,000 students, with 90 percent of them qualifying for financial aid. BCF funding to the 11 Historically Black Colleges and Universities, which is administered by the General Board of Higher Education and Ministry, comes from Black College Fund apportionments paid by local UMC churches.